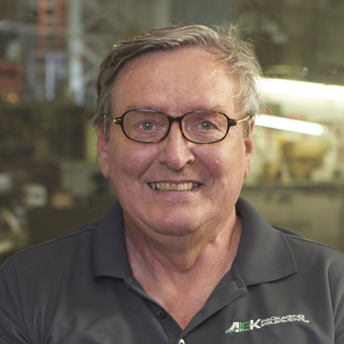 Steve Hanson joined AEK Packaging Equipment in 2014 and is the Senior Packaging Machinery Technician. He began working with a packaging company after high school and has been working in the industry for more than 42 years. Steve has developed a vast knowledge of packaging machinery and packaging styles and understands all types of packaging concepts. He is familiar with packaging dry products and liquid products as well as horizontal and vertical form, fill and seal machinery. Steve has a history with secondary packaging such as cartoning, wrapping and case sealing equipment. Steve is also very familiar with PLCs and design software. He is bi-lingual and speaks Spanish.